Among the leaders of the early church, Barnabas is not as well-known as the likes of Peter or Paul. However, Barnabas vouched for Paul before the other apostles, traveled with him as an evangelizer, and then stepped aside when circumstances and Divine Providence demanded. Explore three fascinating passages from the Acts of the Apostles with Jerome Kodell, OSB, one of the most insightful Catholic voices on Scripture today. Fr. Jerome Kodell is a monk of Subiaco Abbey, where he has honed both his biblical scholarship and his leadership skills as the former abbot. He is a contributor to Give Us This Day and the author of several books, including The Catholic Bible Study Handbook and Life Lessons from the Monastery. 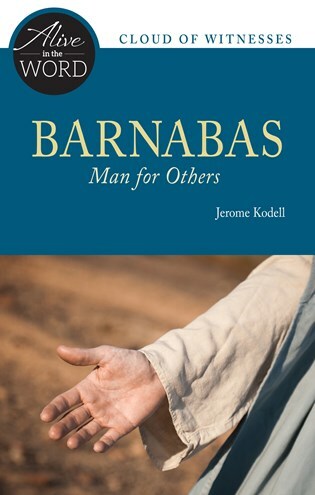 Jerome Kodell deftly portrays the character of Barnabas, his relationship with Paul, and his exemplary contribution to the life of the apostolic church. This and the other titles in this series are perfect for individual or group Bible study.